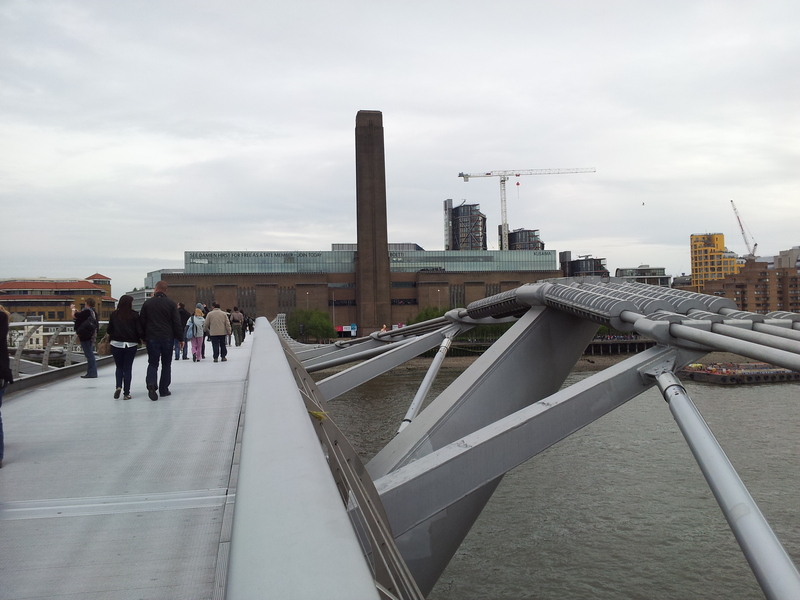 Tate Modern occupies the site of the former Bankside Power Station on the South Bank of the Thames. Opened in 2000, the gallery houses a permanent collection of international modern and contemporary art, alongside temporary exhibitions and installations in the cavernous turbine hall. 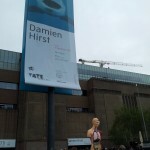 At the moment the gallery is hosting the first major Damien Hirst exhibition in the UK, but we decided to give his formaldehyde-preserved shark and other famous works a miss on this occasion in favour of a no-cost stroll around the Tate Modern’s permanent collection. 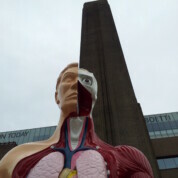 There’s a reason that the Tate Modern is one of Britain’s top visitor attractions. The former power station with its vast turbine hall is worth a visit in itself, whether or not modern art is your thing. With plenty of space for toddlers to toddle, accessibility for pushchairs, activities for older children and all the requisite baby facilities, Tate Modern is a great destination for the whole family. Admission to the permanent collection is free. 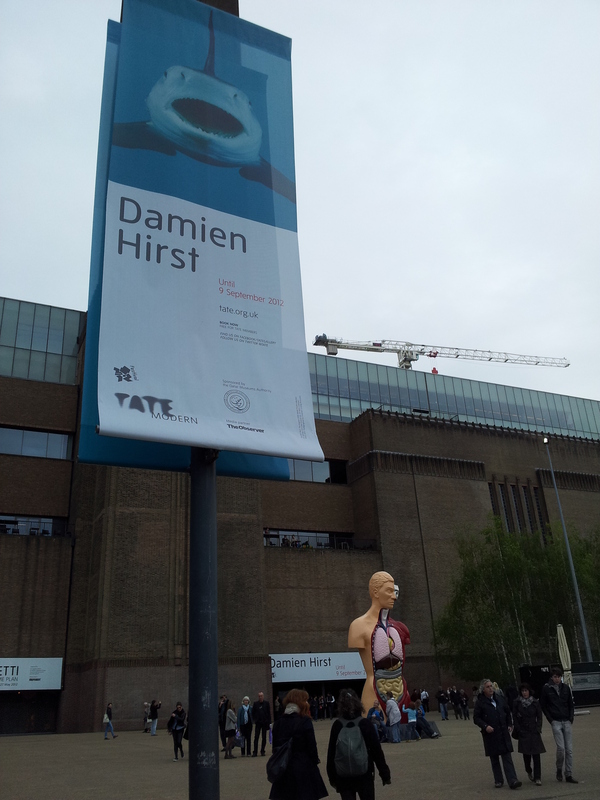 Most temporary exhibitions attract an admission fee (tickets for the current Damien Hirst exhibition cost £14). The gallery is pushchair accessible. Baby changing facilities are available. There is a Cubism-themed zone for the under 5’s and an Interactive Zone for older children (and adults!). Tate Modern runs free Open Studio sessions in the Clore Learning Centre from 11am to 4pm on Saturdays and Sundays. 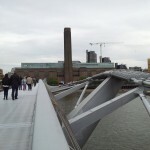 Tate Modern has a restaurant (Level 7) for formal dining, a café (Café 2), and an Espresso Bar, all of which overlook the riverside. One child eats free with each adult purchasing a main meal in the restaurant and café. Café 2 serves main meals, snacks, hot and cold drinks. Reasonably-priced kids’ packed lunches are also available in the Espresso Bar. More details of food and drink options here. By train: The nearest underground stations are Southwark (Jubilee Line), Mansion House (District and Circle Lines), St Paul’s (Central Line). London Bridge and Blackfriars mainline train stations are also nearby. By bus: 45, 63, 100, RV1, 381, 344.